I am a picture taker, not a photographer, I don’t give a flip about f stops, RAW format, and shutter speeds and all the rest. I just want a decent photograph. One thing that I find a really difficult is taking decent photographs when the subject is in a shadow, or when there is a lot different shadows and sun on the subject. It drives me crazy. I found out something this past weekend about a way to overcome, at least partially, these problems. 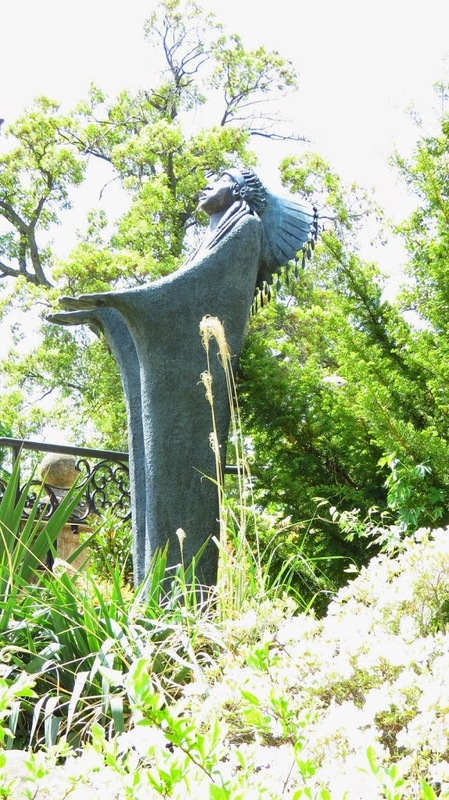 I was at the Philbrook Museum and I was trying to take a photograph of one of my favorite sculptures there, “Prayer” by Allan Houser. I have never had much luck. I decided to try the “Bracketing” function for the exposure setting on the “P” mode of the camera. I have a Canon Powershot SX40 HS and I understand that the “Bracketing” setting is pretty common. Basically on that setting the camera takes three shots, one with the correct exposure, one underexposed, and one overexposed. So the shot above was the correct, the one below is a little overexposed, and the one below that is a little underexposed. Next, I found a website once I got home Fotor HDR Software that combines the three photographs into one. It also has to do some other magic like correcting for the movement of the camera while you are taking the the three exposures. The result is called an HDR photograph. HDR stands for “High Dynamic Range” where by taking multiple images and combining them one can get a photograph closer to what one sees with their own eyes. Check out my friend Wikipedia HDR for more information. 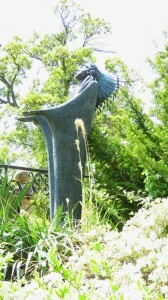 Back to the Houser Sculpture, below is the result. I am really happy with this. Everything looks better. I’m sure that there is software out there that can do the thing a lot more handily than the web site. I’m not into software though. I like to do everything on the cloud. Software requires updates and then moving the software to a new computer is always a hassle. I’m intrigued by the Photoshop model now where you kind of rent the software. I’d love to hear from somebody who is doing that to see how it is working. I notice that Paintshop offers HDR tools and you can buy it for $80. I have an older version that I could upgrade but it was verrrryy slooooooowww. I have a new computer but I don’t want anything that drags. Feel free to correct me if I have the whole HDR thing wrong. I’m just now getting into it. Also if you have information about other websites or software that can do HDR I’d love to hear about that also. Below are some more pics from Philbrook that I did the exposure bracketing and then processed them through the Foto HDR site. 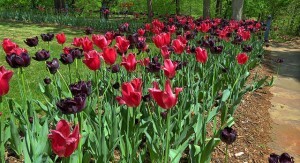 Red and very dark purple tulips. This is a good example of a subject that is hard to take a photograph of due to its shadowy setting. 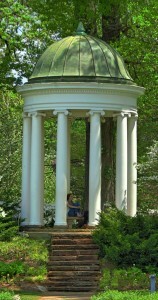 The Tempietto is the signature structure of the gardens at Philbrook. 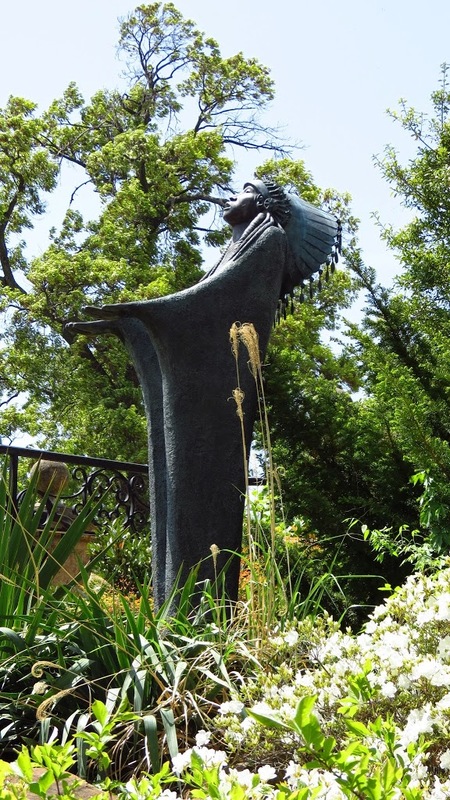 This is Philbrook built by Tulsa Oilman Waite Phillips in the late 1920’s and then donated to the City of Tulsa in the 1930’s. It houses an outstanding art museum. 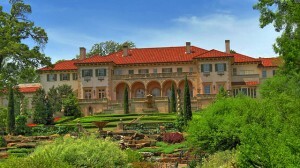 Check out the Philbrook Museum of Art‘s web site for more information. Anyway, I feel that I have discovered a great tool that anybody with a rather modest camera can use. I’d love to hear from other people who use HDR imaging. I’m linking up today with Our World Tuesday. 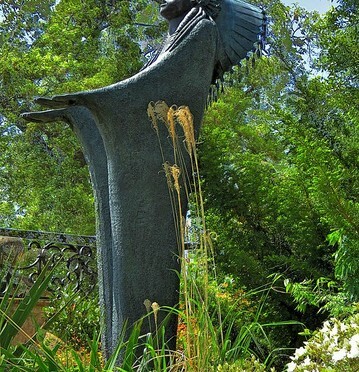 This entry was posted in Gardens, HDR Photography, Our World Tuesday, Philbrook Museum of Art, Photography on April 28, 2014 by Alan Bates. I wouldn’t know anything about all that camera stuff except to say that your pictures turned out great! Understanding the photo techniques is a bit above my pay grade, but the beautiful photos of Philbrook are right up my alley. The photos look great. You might try using Windows Live Writer to stack your bracketed images then Picasa for the HDR look. Both are free. Yep, I’m with Lois and I’m doing good if I can point and shoot, but I do have fun!! Hope your week is off to a great start! Enjoy — whatever camera stuff you use as long as you share the results with us!! I usually use iPhoto on my computer. 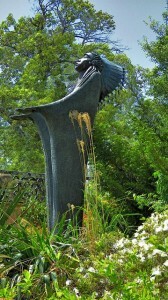 I would LOVE to see this favorite sculpture you shared in real life! And thanks for the tip on photography…I’m gonna try it. Just trying to catch up from your visiting with me while I was attending a convention last week, and busy with hunting down the migrant birds in our area! some of the newer cameras do itin the camera, read the book. Excellent pics, Pecos and glad you’re fooling with it. Not much on technicalities either, and being a point and shoot. However I do strive to take a good shot and edit when necessary. Your shots turned out well using the HDR. 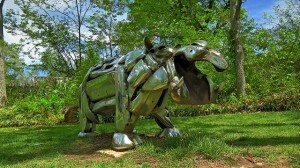 I love the cool sculptures. Lovely images, you did great! I have to get more adventurous with my camera.. I am usually stuck on the automatic mode. Enjoy your week! Yep, I’m pretty sure that HDR begins in the camera. You must take multiple images (as few as 3 and as many as 7)and they can either be combined in the camera or at post production, in the software. Honestly, I have a Canon SX30IS and I have never even checked to see if it has an HDR option. Your results are really very nice. I have seen some that are so over processed that they look horrible. Nice work Yogi. Great shots! I came to see the gorgeous building that was in the thumbnail photo at the other site. What gorgeous shots – I really like that statue too. Hi Yogi, I fool around with HDR a lot. I use the Snapseed photo editing app which is free. I prefer to edit on my iPad which I take with me when I travel. Great photos of the museum! Yogi!!!!! You’re a genius. 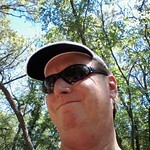 Thanks for the info about the site that does the magic with the photos you take in P mode. I have been playing with P. (S is next. I’ve done my time with A and M.) It’s great that this site gets the best of everything from the three exposures. I had no idea what HDR was so I’m glad you explained it. Way too much work for me. 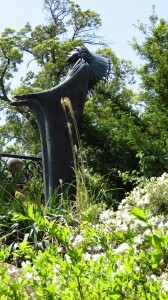 I need to come back and visit the Philbrook when everything is in bloom. Gorgeous! Lovely pics from Philbrook and, also, interesting the exposure ….